A new preview of Minecraft Update 1.9 has been released by Mojang, just less than a week after our last glimpse at the next big Minecraft patch, but fans hoping for loads of new content might be disappointed by the scarcity of new content in Minecraft snapshot 15w38a. As longtime Minecraft fans know, weekly previews of upcoming content can pretty much run the gamut, from tiny patches with few noticeable changes to massive influxes of new blocks and/or major overhauls of existing game mechanics. Unfortunately, according to patch notes for Minecraft snapshot 15w38a, this week's Minecraft Update 1.9 preview build definitely falls into the first category. In all fairness, Minecraft snapshot 15w38a does include some changes that will be evident when playing Minecraft in coming days. All pet deaths will now be communicated to the creatures' owner, even if the ocelot/wolf in question wasn't named, and players can expect some noticeable changes to the spawn process for Skeleton Horses. For the most part, Minecraft snapshot 15w38a is a fix-focused patch. Nearly two dozen issues with the Minecraft client have been fixed in the new build, including a bug that caused players to fall through moving pistons and one that let players duplicate banners from bannered shields. The Minecraft team also tweaked beetroot farming, making it a sustainable for those who prefer the agricultural aspects of Minecraft. And that's just the start. 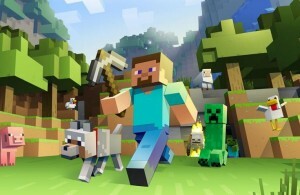 Be sure to check back with iDigitalTimes.com and follow Scott on Twitter for more Minecraft coverage throughout the rest of 2015 and for however long Microsoft and Mojang continue to support Minecraft in the coming years.